King Snakes are medium-sized snakes reaching three to six feet in length. 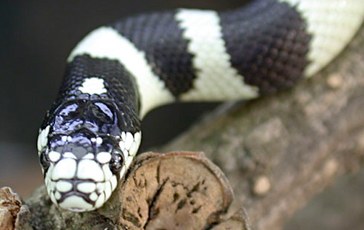 The snake is a shiny black with crisscross pattern of white or yellow lines. They are quite docile witch makes them perfect pets.